‘‘In 2016, the IMF highlighted a gradual improvement of growth rates for some currently’ Middle Eastern economies, which could – in the longer term – see a revival of maritime opportunity in certain locations’’, Chris Hayman, Chairman, Seatrade. The eighth edition of the biennial Seatrade Maritime Middle East (SMME) exhibition and conference, which takes place in Dubai from 31 October to 2 November 2016, will open with an economic forum session addressing the challenges and prospects for the industry in light of future oil price forecasts, the state of the Middle East economy and the effect of the Chinese trade slowdown on the region’s maritime sector. SMME, a part of Dubai Maritime Week, has speakers and delegates representing international and regional shipping operators, ports, financiers and associated maritime professionals, who will gather for a high profile 90-minute panel session, moderated by broadcast journalist, Eithne Treanor, that will set the tone for the three-day conference and exhibition. According to data released by FocusEconomics, Middle East and North Africa (MENA) region growth continues to be hampered by geopolitical risks and weak global growth, with oil-driven economies most impacted in light of the unstable oil price scenario, with regional consolidation also hampering short-term growth. The online forecast expects inflation at 4.6% in 2016, increasing to 4.9% in 2017. “In its August 2016 update, FocusEconomics’ panel of analysts kept the region’s growth projections stable at a conservative 2.3% (growing to 3% in 2017), which, if it holds will be the weakest growth rate since the apex of the financial crisis in 2009. This is sounding a warning bell for government and industry leaders across the region, and SMME 2016 will provide a timely and essential platform for discussion as the maritime community looks at ways to mitigate, consolidate and re-strategise amidst this prolonged period of uncertainty,” said Chris Hayman, Chairman, Seatrade. Other panelists at the opening session include Abdulrahman Essa Al-Mannai, President & CEO, Milaha; Marcus Machin, CEO, Tufton Oceanic Finance Group; Admiral Mohab Mohamed Mameesh, Chairman & MD, Suez Canal Authority; Tim Power, MD, Drewry; and Jamal Majid Bin Thaniah, Non-Executive Director and Vice Chairman, DP World. According to Hayman, amongst other issues likely to affect the regional maritime sector, such as Europe’s refugee and debt crises, US monetary tightening and Brexit, the panelists will also debate the impact of China’s slowing trade and the country’s economic stability. “At the start of 2016, the IMF warned that the effect of China rebalancing its economy will continue to impact global economic growth through 2017. However, it also highlighted a gradual improvement of growth rates for some currently ‘distressed’ Middle Eastern economies, which could – in the longer term – see a revival of maritime opportunity in certain locations. More than 7,000 participants from 67 countries are expected throughout the show, which is set to evaluate current market challenges as well as look at ground-breaking case studies such as Egypt’s Suez Canal expansion, alongside a series of technical forums in association with IMarEST. Over 240 exhibitors from more than 30 countries will also be represented on the exhibition floor this year, which extends to over 4,300 square metres – Japan, Denmark, Qatar, Singapore are participating with dedicated country pavilions. 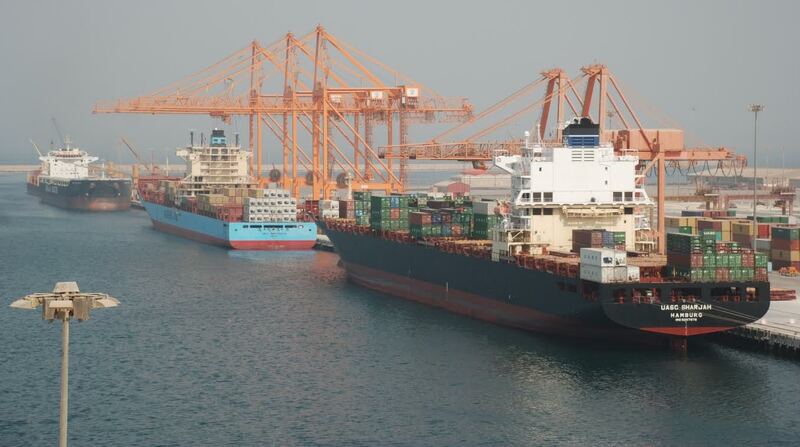 Major delegations from Saudi Arabia, UK, Egypt and China, will be visiting the 61st International Shipsuppliers & Services Association’s (ISSA) Convention, which is a partner of SMME 2016.